Tag Archives for " CRM "
Your sales pipeline is quite literally the thing that keeps you in business. That’s why managing it effectively is so critical. CRMs provide you with all the data and functionality you need to make sure you’re talking with leads and closing the deal in the most efficient way possible. Plus, they allow you to see the bigger picture and to set strategic goals for your business based on your existing sales pipeline and how you hope to see it grow. Here, we’ll take a look at six ways to enhance your sales pipeline with a CRM. When you’re juggling all of the many priorities that come with operating a business, it can be easy to lose track of leads. You’re so focused on delivering for your existing clients, that when a lead reaches out to learn more or you don’t hear back from someone immediately after you’ve initially made contact, you quite frankly might just forget about them. But when you have a promising lead in your sights, you need to remain proactive about reaching out. They have a problem that needs solving and their own deadlines they need to meet, so if you’re too slow in getting back to them, they’ll go with your competitor that was quicker on their feet. Fortunately, CRMs are a great way to stay on top of all points of contact. You can easily track and visualize when you last spoke with a prospect—without having to hunt through your email inbox or search through your call history on your phone—so that you can make sure you respond to inquiries in a timely manner and are on top of following up with those prospects who have gone radio silent over the last few weeks. Of course, not all leads are created equal, so there’s value in assessing each lead and deciding how you’ll most effectively divide your time to attend to existing clients while also catering to your most promising leads. There are some leads who will never convert, no matter what you do and how hard you try. You need to wipe those leads off of your radar screen so that you can spend your time wooing those who actually have a shot at becoming clients. Lead behavior scoring is the process of evaluating your leads’ profile and actions and assigning a score that corresponds with how likely they are to convert. By using the data you’ve assembled on your current client base, you can establish a method for taking an educated guess about the value of a given prospect. If a prospect shares nine out of 10 characteristics and behaviors with your current client base, that’s someone who could very likely need your services and want to do business with you! If it’s a prospect who only lines up on two of the 10 points, though, don’t spend copious amounts of time and effort speaking with them. They’ll likely never become a customer. CRMs are great at collecting data about your current processes and allowing business owners to slice and dice the information in a way that makes sense for them. You want to track the way your business guides prospects through the first part of their customer journey. What’s working and what’s not so effective? Once you begin looking for patterns, you’ll likely see some room for improvement. Let’s say you’re a contractor whose homepage has a call to action button inviting prospects to sign up for your newsletter. The newsletter contains lots of tips and tricks on renovating, and when you analyze the CRM data, you notice that the CTA button gets a lot of clicks. But you also notice something else: you’re not seeing a lot of newsletter subscribers taking the next step and reaching out for a consultation. This information alerts you to an issue in your pipeline and allows you to do a deeper dive into what’s not working. Maybe the newsletter is sent too frequently and so people aren’t reading it, or it’s ending up in spam folders. Maybe you don’t provide a clear next step for readers—adding a big, bold button at the end of the newsletter inviting prospects to reach out for a consultation might get their attention. Or maybe you already have a button there, but prospects are hesitant to do it because they don’t understand the terms of the consultation. When you add language clarifying that it’s free and has no obligation attached, you might see yourself getting some traction. Putting together an annual plan is a critical step in running your business. But it’s hard to set goals when you don’t know where you already stand. Fortunately, CRMs allow you to see what your typical pipeline is like at the moment and how you can work in the future to improve it. Take a look at where you stand now. What are your conversion rates? How long is your sales cycle? What is the average deal size you see with first time customers? How many customers come back, and when they do, are they spending more money on bigger and better products? Using this information, you can identify potential areas of growth. Let’s go back to the contractor example. Right now, you see that a lot of your first time customers are hiring you for smaller jobs like refinishing projects or building decks, and your customer return rate is low. Again, armed with this data you can begin to do some digging into the why behind the issue and then take steps to remedy it. Maybe what you learn is that there’s a local architect who’s partnered with your biggest competitor, and as a team, they’re going out and winning the majority of bathroom and kitchen renovations in the area. If this is the arena you want to work in, you need to change your strategy. Establishing your own partnerships with suppliers of materials or another architectural firm could help to boost your visibility in this arena. Or maybe there’s a local interior designer who you can partner with and display your work jointly in a big design showcase. When you know where your weakness lie, you’re able to take a strategic approach to addressing them. Sometimes businesses that don’t have a CRM in place can become a bit like the Wild West. Salespeople are left to go out and do their thing with little supervision, and you don’t have any visibility into what tactics are working, what’s not effective, and whether or not the sales team is taking the most effective approach to managing their workload. Once you’ve taken a look back at the aggregate data in your CRM, you’re able to see what exactly is effective and what isn’t. From there, you can establish a clearcut system for dealing with leads. The best way to find leads and stay in contact with them will vary from business to business. You also want to understand how the sales pipeline functions so that you can be sure you’re providing your team with the tools they need to succeed. Maybe that’s asking your marketing team to create white papers that address concerns prospects often mention to your sales team. Maybe that’s establishing best practices for how frequently the sales team follows up with prospects. Salespeople often possess traits that would serve them well in any sales position, but every business is different and has their own unique needs and effective approaches. You’ll want to provide training to your salespeople on best practices for your industry and your business. Maybe they relied heavily on email communications in their last job selling software to tech companies, but here you may have found that phone calls are the most effective way to generate business. Even small tweaks like that can help to improve the overall effectiveness of your sales approach. We’ve dedicated a number of articles on the blog to the importance of referrals for any business. CRMs can help you to establish the most effective referral program and ensure that you have a steady stream of referrals coming into your sales pipeline. Using audience segmentation tools to target your happiest customers with offers to join your referral marketing campaign is a great start. From there, you want to use the CRM to group those prospects who are coming to you via referral together so that you can be extra sure you’re providing them with a great experience. These leads are hot because they’ve already heard great things about your business—if you’re able to prove their referrer right, you’re very likely to successfully close the deal here (and maybe even generate future referrals from them)! A sales pipeline can be an unwieldy thing to manage, and if you’re trying to keep track of your prospects and manage the customer journey without a dedicated tool, things can easily get out of hand. A CRM allows you to easily store, track, and analyze the data that you need to not only provide the best service for each and every prospect, but to more efficiently manage your big-picture business decisions. If you liked this post, check out our Guide to Customer Relationship Management. All customers today are looking for a highly personalized experience. They expect businesses—from the big guys like Amazon all the way down to their local coffee shop—to understand their wants and needs, and to treat them like an individual. When you’re running a successful business with hundreds or thousands of customers, though, it is impossible to make your audience feel special if everyone is getting the exact same messaging. That’s where audience segmentation comes in. When used properly, the information stored within your CRM can be used to create subsets of your prospect and customer population who you can then approach with highly tailored messaging. This makes every individual feel like a VIP, and it makes them all the more likely to do business with you over the other guy. Today we’re going to take a closer look at audience segmentation: What it is, how to do it, and why it matters for your business. Demographics: Do you want to break your list down by age, gender, geographical location, income, or job title? Stage in Customer Journey: Is this individual a prospect, a repeat customer, or somewhere in between? Actions: Have they signed up for your newsletter? Abandoned a cart on your e-commerce website? Interactions: When was the last time they interacted with your business, and how did they do so? Purchases: What purchases have they already made, and how recently? Preferences: How do they prefer to be contacted? And how frequently do they want to hear from you? Segmenting your audience allows you to approach different subsets with different messaging and offers. These targeted messages are more likely to meet with a positive response than if you send the exact same message to everyone on your mailing list. How Do I Segment for My Business? Every business has unique goals and will segment their lists differently as a result. The first step in deciding how to segment your list is to look at your ideal customer: What are their attributes, and what actions can you take in contacting them to ensure you’ll move them further down the marketing hourglass? For example, for a retail store with both a brick and mortar and e-commerce platform, geographical location is an important way to segment your list. You want to be sure that the people receiving your email about in-store deals and promotions live close enough to actually come to the store. For a B2B business, factors like job title or company seniority might be more important to take into account when segmenting. Those who are in leadership positions are more likely to be the decision-makers in selecting your business, so you’ll want your messaging to reflect that. The great thing about CRM tools is that they allow you to segment based on multiple attributes and actions, so don’t feel like you only have to pick only one or two. The system will manage each individual’s profile, and the more information you have on each person the more able you are to target them with the messaging that is most relevant. Creating an incredible user experience is all about personalization. Marketo released the results of a survey recently, where they found that 63 percent of all respondents were “highly annoyed” by generic email blast messaging. Nearly 80 percent of those respondents also indicated that they will only engage with promotions from a brand if the promotions are related to a prior purchase they made. With statistics like those, it’s easy to see why segmentation is so important. People are less likely to do business with you—even when you offer them a promotion or deal—if it’s not something specially tailored to them. Not only that, but when you begin to annoy customers and prospects with generic messaging, you erode trust and effectively encourage them to look for a competitor who will acknowledge their individual wants and needs. Outside of the unparalleled personalization that email segmentation offers, there’s a benefit to your team in email segmentation as well—one that goes beyond the obvious benefit of more sales. Email segmentation makes it very easy for your team to run A/B testing on different messaging and campaigns. When you break your list down into subsets, you can send variations on the same messaging to groups in your email list and see which campaign gets greater traction. When an email campaign is successful, you know that something about the messaging was persuasive to the audience. The next step for you is to identify what made it so great and then to replicate this in future campaigns. As you continue to refine your approach, your audience will be delighted by how well you understand them and their needs, and will be all the more likely to become return clients and to refer you to their friends. How Do I Find the Right CRM to Implement Segmented Messaging? All CRMs allow you to collect and save data on customers and prospects, and many have campaign management and email marketing built directly into the platform. Others work with an outside email messaging system to get the job done. If you have yet to select a CRM for your business consider a comprehensive tool like ActiveCampaign, ZoHo, OntraPort, and InfusionSoft. These platforms offer more traditional CRM functions like sales and lead scoring, plus segmentation and email marketing. If you already have a CRM in place that doesn’t provide an email marketing function, don’t despair. Most email management systems will integrate with CRMs; take, for example, MailChimp’s integrations with a variety of CRM and e-commerce platforms that allow you to undertake effective email segmentation by bringing the tools you already use together. Audience segmentation is the key to providing the kind of highly personalized attention that prospects and clients not only want, but expect. Using a CRM to help you create detailed profiles and send targeted messages to users based on their individual wants, needs, and attributes helps establish your business as a likable and trustworthy brand—the kind of business someone is excited to interact with. As I’ve written about in the past, in today’s digital world, the customer journey is no longer a straight line. While you can’t exert complete control over the way in which customers and prospects interact with your business, it is possible to get strategic about guiding people differently depending on where they are in their individual journey. One of the most useful tools for effectively guiding a customer’s journey is CRM. Because it is the place where you house all of your information on clients and prospects, it not only gives you in-depth information about each individual, it also allows you to see broader patterns in customer behavior and to tailor your approach to meet your customers where they are. Below, I’ll share four tips for using your CRM tool to effectively drive the customer journey. If you’ve been keeping good records in your CRM, it should have all of the data on your current customers. How they found you, the ways they’ve been in touch, what they’ve purchased, and the last time they did business with you. Using this information, you can begin to create a composite profile for your ideal customer, and then go out and target similar prospects. Let’s say you own a photography studio. Maybe you work with a lot of couples who hire you as a wedding photographer. Maybe local business owners use you to do professional headshots for their team. When you’re able to identify patterns in demographics, it means that leads who fit a similar profile are more likely to be promising ones. You can also use CRM to track the behaviors of existing clients. Is there one action that everyone seems to take before they make a purchase? Going with the photography example: it might be that prospects who convert always reach out via the CTA button on your wedding portfolio page, while your corporate headshot page gets less traction. That tells you something meaningful about your customer base, and that’s information you can use to assess the viability of prospects. The next step in assessing your prospects is lead scoring. Lead scoring is the process of looking at a prospect’s profile and behavior to see how likely it is that they’re serious about becoming a customer. Once you have a complete picture of your ideal customer, you want to begin comparing that profile to your leads. Those prospects that have a profile most similar to your existing customers are considered hot leads. Those who fall outside of the profile of your typical client base are not people you want to spend your time and money marketing to. It’s unlikely that they’ll ever convert, no matter how great your product or service is. The most important thing in establishing a lead scoring system is consistency. Make sure that you’re evaluating all leads on the same criteria, and establish a point system that makes sense for you and your business. Some CRMs come with lead scoring tools built in, or it’s possible to get a standalone system. This allows you to effectively budget your marketing time and dollars towards those hottest leads, while not wasting efforts on those who won’t ever convert. Once you’ve gone through the effort of understanding current customer behavior and identifying those leads that are most similar in behavior or profile to your existing clients, you’ll want to keep tabs on those people. Don’t just use your CRM to track existing clients; you should be managing your relationships with prospects here, too. For those hottest leads, you want to move them towards the trust and try portion of your marketing hourglass. Keep track of all of their behavior, and take a personalized approach in responding to their actions. Continuing on with the photographer example above, let’s say you meet a couple at a wedding expo. They stop by your booth and chat with you about your work. In previous years, you’ve had a high conversion rate amongst those couples that you met at wedding expos, so you know that this is a hot lead. Do not miss the opportunity to close the deal with them! This is where personalization comes in. Hopefully you’ve made notes about your interaction with them in your CRM. Reach out the day after the expo to send a message thanking them for their time, mentioning something specific about the details of their wedding that they discussed with you, and offering them the opportunity to sit down for a free consultation with you to discuss their photography needs. Obviously, this level of personalization takes time and effort, and that’s precisely why you only want to focus this kind of attention on those most promising of leads. However, when you do prove to those prospects that you’re willing and able to go the extra mile, this is how you build trust and move them one step closer to becoming a customer. So all of this effort in targeting hot leads and offering personalized service has paid off: You’ve won over a new customer! But this is not the end of the customer journey, and you can’t let the high quality of service that you’ve offered thus far drop off now that you’ve taken down someone’s credit card information. 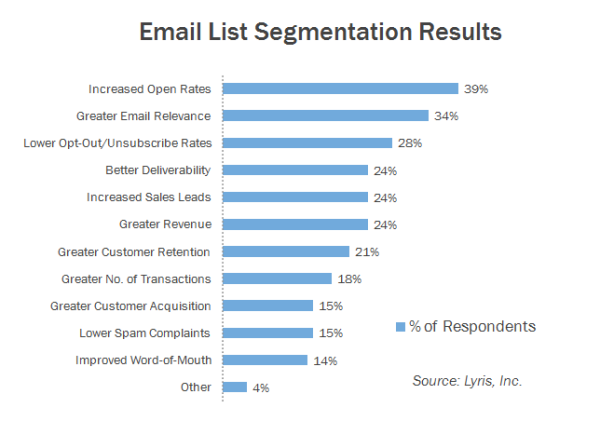 Fortunately, you can use email segmentation to continue to offer that personalized touch. Within your CRM, it’s possible to group people based on their stage in the customer journey or on specific actions they’ve taken or products they’ve purchased. You can then send targeted messages to people in these groups. Back to the photographer: You can set up your CRM to follow up with clients based on their activities or demographics. That couple from the wedding expo? Add them to your mailing list for your wedding newsletter, where you share tips and tricks about how to plan a really special day. Once they become a client and you shoot their wedding, add them to the list of happy customers that you then target with messaging about your referral program. And if you keep in touch with them regularly (which your CRM should help you with) then you can also reach out down the line to offer them a discount on baby photos for their birth announcement and family photos for holiday cards for years to come. When used properly, a CRM is a powerful tool that allows you to direct customers to have the experience you want them to have. You can identify and interact with those who really are your target audience, and continue to present them with valuable messaging at the right time, ensuring that their customer experience remains high during every interaction. Using a spreadsheet or index cards to manage your clients may make sense when you’re first starting out: there aren’t that many to keep track of, and the clients you do have don’t have a long history with your business. However, as time goes on, your client list grows, your track record with existing clients becomes longer and more complex, and you need a better way to manage these relationships. That’s where a client relationship management (CRM) tool comes in. CRMs are not just for big multinationals. There are tremendous benefits to the technology even for small local businesses. The tool is designed to make it easier for both your sales and marketing teams to work effectively and drive even more conversions. Read on, and I’ll take you through all the benefits of incorporating a CRM tool into your workflow. A lot of small business owners are happy to manage their client information in a spreadsheet or word document. At the same time, business owners hope to see their companies succeed and grow. When you’re creating your own haphazard method for tracking your customers, you’re practically ensuring an information bottleneck as your business continues to expand. CRM tools are designed to grow with your business. When you acquire new prospects, upsell existing customers, add new products and services, or begin a new outreach campaign, these tools are designed to meet you where you are and then keep pace as you broaden your horizons. A spreadsheet doesn’t have the same flexibility; you’ll soon find yourself struggling to add new columns and tabs, and information will get lost in the shuffle. A spreadsheet also doesn’t integrate with your other marketing and sales tools or provide reports and analytics in the same way that a CRM tool can. Customers today are won and lost based on the experience they have interacting with your business. There is a lot of competition out there, and with the digital landscape being what it is, it’s likely that your customer can find another business that does what you do. So it’s a highly personalized customer experience, with strong attention to detail, that will allow you to stand out from the pack and turn your prospects into return customers. CRM tools allow you to track all interactions with a customer across platforms. When did they last make a purchase with you, and what was it? Did they submit a review of the product or service they bought? Did they reach out via phone, email, or online chat with a question about their recent purchase? Are they on the mailing list for your newsletter? There are so many ways in which you interact with customers, and it’s near impossible for a human to track all of these touchpoints effectively and accurately. Having this information all in one place allows all members of your team to better serve customers. Marketers can send targeted messaging to users who have expressed an interest in a particular good or service your provide. Salespeople can be more proactive about reaching out to customers that they haven’t heard from in a while, and can make a thoughtful reference to something they discussed in their last conversation when they reach out to reestablish contact. Your customer service team can see a history of issues a user has had with a given product and can meet them where they are, rather than making the customer rehash their issue each time they contact you with a question. Knowing what your customer has done in the past allows you to be thoughtful about your interactions in the future. Adding a personal touch to your interactions is what distinguishes your brand. You increase trust—a key part of the customer relationship—when you show that you not only know what you’re doing, but that you care about the customer and their individual needs. As I mentioned briefly above, one of the major benefits to marketers using a CRM tool is the ability to undertake customer segmentation based on past behavior. Customer segmentation is what gives your marketing efforts that personalized touch. CRM tools allow you to group prospects and clients based on a variety of different attributes: where the lead came from, how they’ve engaged with you in the past, what they’ve purchased from you, or demographics like age or location. You can then easily send relevant messages to those who meet certain criteria in a given group. All leads that came from attending an event you hosted last month can receive an invitation to your next event, complete with an early bird registration discount. All customers who purchased a given service in the past year can be sent a free copy of your latest white paper on a related topic. All of your customers in the Northwest can be notified when you’re speaking at a conference in Seattle. Now, sending a message about your Seattle conference appearance to your clients in Pennsylvania might lead them to unsubscribe, since you’re clogging up their inbox with irrelevant messaging. But if that same client receives a personalized note from you, following up on their recent purchase and providing them with a training video about how to better use the item that they bought they’ll likely have a very different reaction. Email segmentation allows you to not only build trust, but also make sure that the right offers are getting in front of the right people, thereby increasing the likelihood of a conversion. CRMs don’t just allow you to track the behaviors of existing customers, you can use them to manage your prospects, too. When you can see where all of your prospects are in the customer journey, you can better understand what changes you need to make to your approach to win over more new business. CRM tools can allow you to see bottlenecks in your sales pipeline. Is there one particular area where conversions just don’t seem to be happening? Once you can see that issue, you can begin to address it. Maybe lots of prospects are eager to sign up for a free trial of your service, but then they’re not converting. That means you should focus on what’s happening with their free trial experience—are they underwhelmed with their experience, or are you not providing adequate follow-up after the trial in order to get them to commit to the paid version? These tools will also allow you to parse your data based on factors like deal size, expected close date, and last point of contact so that you can direct your sales team to go after the most promising leads or those with the most pressing deadlines attached. Finally, you can keep better track of the deals that you’ve lost. When you understand when and where you lost out on business, you can then begin to gather the information around the why. Did you drop the ball and wait too long to provide them with information? Did they find a similar product or service at a much lower price? This is the kind of information that allows you to improve your approach with future prospects and ensure your success next time around. I’m Sold! How Do I Find the Right CRM? Hopefully I’ve convinced you of the many benefits to adding a CRM tool to your business. But now the question becomes, with the myriad of options, which one is best for you? The systems run the gamut in terms of capabilities, so the real key to finding the right one is selecting the tool that best aligns with your goals and needs. Just because your friend uses and loves a given CRM for their business doesn’t mean it will serve you just as well. Find the CRM that allows you to collect the data that you most want to track and provides the marketing automation features that are most important to you. You’ll also want to consider your team’s level of tech-savvy and workload and select a CRM that lines up with their abilities and bandwidth. A tool like Hubspot’s CRM is free to use and is very comprehensive. The downside here is that the tool is complex. There will be a learning curve when you implement any new tech, but some CRMs are more involved than others. No matter what program you settle on, you’ll want to be sure that you’re providing your team with the appropriate training and support to make sure that you get the most out of your new system. A nice middle ground for small business owners is ActiveCampaign‘s CRM. The system allows for marketing automation alongside more traditional sales and CRM features. The platform is fairly intuitive and they offer a variety of pricing options based on your needs and budget. Today’s business owners are able to collect a lot of information about their customers and prospects, and it comes from a lot of different sources. As a business continues to grow, it’s nearly impossible for a person to accurately track, manage, and analyze all of this data on their own. And when you’re not able to see it all in one place, you’re missing out on valuable conversion opportunities. Turning to a CRM tool to help you manage the information, streamline the way you interact with customers and prospects, and get specific about the way that you approach each individual can empower you to take your business to the next level. It’s an age-old notion that marketing and sales teams don’t get along. Like rival football teams in a teen movie, the marketing team sees themselves as the heroes—creating forward-thinking ideas and campaigns that will open up a whole new world of potential clients and drive tremendous growth—while the sales team thinks what they’re doing is the real work—coaxing customers along, catering to their needs, closing the deal and actually bringing in revenue. But just like in a great teen movie, the moral of the story here is that when the two teams can put aside their differences and work together, they can accomplish really amazing things for your business. Creating harmony between sales and marketing might be easier said than done, but it is definitely possible. Here we take a look at some tips for integrating sales and marketing in a way that will lead to healthier revenue and happier teams. It may seem obvious, but people will work better together if they know and like each other. Because there is typically a rivalry between sales and marketing teams, there’s a lot of value in bringing these two groups together. You can do it however you’d like: an informal lunch gathering in the office, an after-work excursion to a bowling alley, or an overnight offsite to a nearby hotel with hiking or fun outdoor activities. No matter what your budget is, there are real, tangible benefits in bringing these teams together and creating a convivial environment. Happiness can lead to success in various aspects of life, and work is no exception. Happy employees are more engaged, productive, and do better work. Not only does this productivity and engagement help your bottom line, it also makes being at work a more pleasant experience for all, and isn’t that a win-win? Once you’ve built a bridge between these two teams, you’ll want to share your comprehensive business strategy. This should be the grand, guiding vision for all employees in your company, including those on the sales and marketing teams. Present this strategy to both teams together, and then open things up for discussion. How does their day to day work feed into the larger strategy? How can the sales and marketing teams collaborate to work towards achieving the business’s overarching goals? What are the strategies of the two teams, and then what are the tactics they’ll use to achieve results? Getting these teams talking about how they fit into the larger picture can encourage them to think about collaboration not just as a nice to have, but as a must have in order to serve the business as a whole. Now that you’ve got the teams talking, keep those lines of communication open, and create a clear system for the sales and marketing teams to transfer leads. Where in the marketing hourglass does it make the most sense to get the sales team involved? With all of the channels through which marketers can reach prospects nowadays, your marketing team has the know and like portion of the funnel covered. But things tend to get a little murky by trust and try. Some people will be willing to take online reviews, social media posts, and offers like white papers or webinars as enough to convince them to become a customer. Others will need a bit more hand holding in the form of sales presentations, demos, or just someone to talk to before they commit. You want to make sure that these prospects who are on the fence actually end up getting in touch with a sales person. They’re so close to converting, and if your sales team is responsive and provides them with just a little bit more personalized information, their business is yours. This means you need to create clear internal processes for identifying these people and getting them in touch with the sales team quickly and efficiently. Consider establishing a channel on Slack or a similar messaging system so that the sales and marketing team can easily communicate. A shared inbox tool like FrontApp can also empower your team to see the interactions a prospect has already had with your company, and allow others in your organization to quickly and easily pick up where their colleagues left off. A seamless transition between marketing and sales efforts will help to build trust on the prospect’s end and is one of the factors that can help you close the deal. Marketers are constantly collecting new data on how customers are interacting with the company and on how effective their marketing efforts are. Salespeople are in regular communication with customers, and have lots of real-world data they’re picking up from these interactions. This means that sales and marketing teams should be sharing data to identify trends that can help both of them improve their respective approaches. For example, if marketers are seeing that a particular call to action on the website is getting a lot of traction, they should share that data with the sales team. It means that something about that messaging is resonating with customers, and salespeople can tailor their approach to include that same messaging when speaking with clients or prospects. Similarly, if the sales team is hearing the same feedback, good or bad, from a lot of clients, they should be sharing that with the marketing team. If customers are saying they’re unhappy with a specific product because it doesn’t do what they were expecting it to based on what they read on your website, that’s an issue with the marketing language. Marketing teams are likely using Google Analytics or a similar tool to collect their data, while the sales team is probably using a CRM platform. Providing each team with access to the other team’s data can allow them to understand the customer from a new perspective and (hopefully) improve their approach to their own work. Sales teams have historically been rewarded for their work with incentives. This is part of what can feed into that classic marketing/sales rivalry. While the marketing team is attracting new prospects with their work, it’s the sales team that closes the deal and gets the glory (and the financial reward). I’m not saying take away incentives from your sales team. There is an art to motivating salespeople, and it involves a different approach for your different tiers of workers; some are stars, while some are laggards, and they need to be handled differently. What I am saying is that it’s helpful to incentivize your marketing team, too. But the approach here has to be different. It can’t be commissions based on sales; instead you should identify key performance indicators (KPIs) and create a bonus structure around them. Something easily measurable, like traffic or visibility, is a good place to start. Create a bonus structure around site traffic that’s driven by marketing content, or provide a monetary reward when you hit a certain number of followers on a social media platform. From there, you can broaden out and consider other KPIs. It is possible for the sales and marketing teams to put aside their differences, integrate their approaches, and live in harmony. And it’s imperative that small business owners and leadership do what they can to encourage open communication and collaboration across team lines. Not only will this make for happier teams, but it will also make for a healthier business. Enjoy today’s guest post from David Mihm. Thanks to John’s generous promotion of my content over the years, many of you probably know I’ve spent most of my career in search engine optimization. Although many of my colleagues in the SEO world were surprised when I transitioned into the adjacent world of email marketing a year ago and launched Tidings, I hope you’ll understand why after reading this column. For a variety of reasons, some of which I’ll detail at the end of this post, I see SEO as an increasingly difficult proposition for both small business owners and agencies serving them. Meanwhile, small business owners consistently rate email marketing as one of the top three performing channels, and unlike SEO, it’s not a black box and isn’t subject to algorithmic fluctuations. I‘d never really paid much attention to it since I didn’t offer it as a service in my consulting days, nor does my previous employer (Moz) offer it as a product. But from first-hand experience, I can tell you that neither of those is a good reason to ignore its effectiveness! My own experience sending a newsletter has been eye-opening, and while social media garners most of the mainstream headlines these days, email remains as powerful as ever, and it’s well-positioned to be an effective offering into the foreseeable future. Here’s just a sampling of the many reasons I’m bullish on email. We all love low-cost, high-value service offerings. Costs don’t get any lower than free, which, conveniently, is exactly the monthly price of a number of email service providers. Mailchimp, MailerLite and SendinBlue offer free plans, and many other providers charge under $10/month, depending on your number of subscribers. The minimal hard costs of email are a big contributing factor to its high margin as a service offering. Email has four main technical prongs: capturing email addresses, managing lists and campaigns, “designing” your campaign, and delivering your campaign–all of which are usually included in your Email Service Provider plan. CANSPAM-compliant address capture and list management are probably the two biggest reasons to use an ESP in the first place. Address acquisition products like Privy and MailMunch make it incredibly easy to tie your website, landing pages, and social campaigns directly to your email lists at your ESP. The management interface provided by most ESPs is more than adequate. And all major ESPs place a premium on deliverability. Given that more than 2/3 of email gets opened on phones, using a responsive email template in your campaigns is essential, and I don’t mean to downplay the technical difficulty behind creating that template. It’s incredibly challenging to account for dozens of widely-used but outmoded email clients like Microsoft Outlook. And there are a range of new dynamic and interactive technologies that larger brands are using to great effect. Generally speaking, however, each major ESP offers at least one effective, responsive template (including ours at Tidings), so it’s another zero or near-nil cost. Email is also relatively cheap in terms of time cost. Unlike social media where daily or even hourly presence performs best, email allows you to duck in and duck out as you have time. For most small businesses, a weekly or even monthly newsletter helps you stay top of mind with your customers and drive engagement with events happening around your business or important topics in your industry. As simple as that sounds, sending a newsletter is intimidating for a lot of businesses! We surveyed 300 U.S. business owners last fall and found that 50% of small business owners aren’t yet sending one, and for the ones that are, 63% of them spend more than an hour to do so. While the complexity of the ESP campaign interface is a contributing factor, the biggest hurdle for most businesses is coming up with content. Regular newsletters are a great opportunity for agencies to solve this problem for small businesses. Chances are that many of you are already doing social media and content creation for your clients. And even if you’re not, many clients are probably doing a solid job with their own social accounts. But organic reach continues to shrink on major social channels, and fewer and fewer people are seeing that content unless you’re paying to put it in front of people. Newsletters offer an easy way to extend the reach of those efforts on an organic basis. Tidings’ whitelabel platform offers you a turnkey solution to extend the reach of your social campaigns to email, as well as one-click RSS integrations with any public feed. More people seeing your work or your clients’ work with no additional effort is as easy a win as they come! Back in my SEO days, one of the hardest parts of my job as a consultant was convincing a client to be patient as their search results gradually improved, and proving how successful my efforts were. More businesses today understand the value of SEO, but most best practices are still hard to feel paying off at a gut level, it still takes time for them to work, and it’s still difficult to attribute success to any specific tactic or set of tactics. Clients still appreciate seeing themselves rank #1 for a vanity keyword, but it can take years to get them there (if you get them there at all) and with Google’s increasing personalization and monetization of the search results, ranking #1 organically ain’t what it used to be. Seeing their own newsletter — and the conversations and leads that it generates — resonates instantly that you are delivering a valuable service. In fact, for many clients, it could be your “foot in the door” on top of which you sell other less concrete services like SEO. It’s low-cost. It’s concrete. But the other reason email makes such a great foot-in-the-door offering is that it helps make so many other marketing services more effective. An email address is the cornerstone of customer intelligence services like FullContact, not to mention more robust CRM programs like Hubspot. Retargeting and remarketing via customer email addresses stretch a client’s paid ad budget as far as it’ll go. And an email address is essential to unlock lookalike audiences as an additional paid acquisition channel. As I hopefully convinced you above, many of your clients don’t have time or wherewithal to create something of value on a consistent basis, which is where your agency or consultancy comes in! With the two major platforms becoming largely pay-to-play for local businesses, email offers one of the best remaining opportunities for organic visibility — and actually makes paid visibility cheaper and more effective. Both of which help your client’s ROI and your bottom line as an agency. Regular newsletter content is a high-value deliverable in its own right. But it’s just the first step in building a complete email marketing program over time — with many more opportunities for deeper client engagement. Helping your clients craft a welcome email sequence for subscribers, or a drip campaign for prospects, are no-brainer opportunities. Segmentation and personalization are emerging as two of the easiest ways to improve the effectiveness of content delivered to existing subscribers. And deeper analysis around which content is most effective and which subscribers are deserving of extra attention or personal follow-ups (our free Email Intelligence Briefing can help with these questions) can lead to even more profitable email programs. As I mentioned earlier, Facebook’s ongoing reduction in organic visibility, Google’s evolution of the local SERP, and the shift to voice search will combine to create an existential threat to agencies that serve smaller-budget local businesses over the next 2-3 years. Agencies simply can’t charge the margin to place paid ads that they can charge for organic work, and while basic SEO blocking-and-tackling such as site architecture, Title Tags, and citation building will always be important services, their impact for local businesses has declined over the past decade, due to algorithmic sophistication, increased competition, and decreased organic real estate. To grow or even maintain your client base, it’ll be critical for you as an agency to offer additional services that are just as effective and scalable as these techniques were a decade ago. Email, meanwhile, is not going away as a top-performing channel. In fact, with a Return-On-Investment of 44:1, marketers consistently rate it as THE top performing channel. That ROI has actually increased since 2015 according to Campaign Monitor, and it’s particularly true for B2B companies. Email remains a powerful driver of new business and one of the best ways to encourage referrals. But the time it takes to put together an engaging, mobile-optimized email campaign makes it difficult to pull off for many small businesses. If you’re not already doing so, I hope your agency or consultancy decides to step into this arena, help your small business clients take advantage of the power of email, and grow your business at the same time. David Mihm is first and foremost an advocate for sustainable digital marketing techniques for small businesses. In 2012, he sold his former company GetListed.org to Moz, helping over 3 million businesses get better visibility in the local search engines. He’s a co-founder of the Local University conference series. David now runs Tidings and his weekly newsletter, Minutive. Inbound, inbound, inbound – that’s marketing rally cry for that last few years. But a funny thing happened on the way to all this inbound marketing activity – outbound marketing – done right, has never been more effective. In fact, great outbound marketing can draw even greater interest to the assets and content that inbound marketers are so fond of building. I wrote this post about this almost four years ago – Why Outbound Marketing Has Never Been More Effective – and it’s still valid. My guest for this week’s episode of the Duct Tape Marketing Podcast is Marylou Tyler, founder of Strategic Pipeline, a Fortune 1000 sales process improvement consulting group. She’s also the author of Predictable Prospecting: How to Radically Increase Your B2B Sales Pipeline, as well as Predictable Revenue. She and I discuss how selling and prospecting are two different things and why small businesses need to master each of them to succeed. 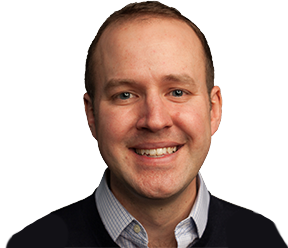 Tyler specializes in optimizing top-of-funnel sales processes and implementing predictable new sales opportunity models. 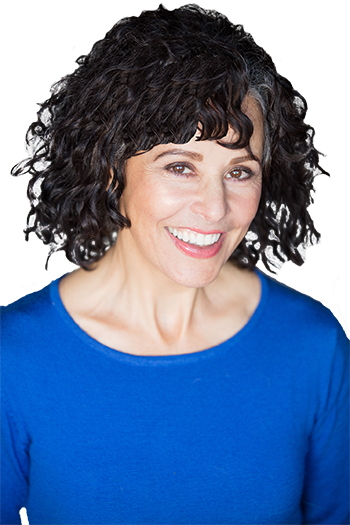 Her approach walks clients through a 7-point outreach process/framework that is part behavioral, part predictive, and part creative (persuasive storytelling). Should prospecting be a big part of a salesperson’s job? How do you build and operate a successful outbound prospecting program? How do you get past sales vanity metrics? Learn more about MaryLou Tyler. If you enjoyed this post, check out our Small Business Guide to Sales and our Guide to Customer Relationship Management. Want to know the secret to reaching inbox zero and taking back your email sanity? The answer is SaneBox and I can’t recommend it enough. SaneBox sorts through your email and moves all of the trivial stuff into a different folder so the only messages in your inbox are the ones you actually want to see. Aside from removing all of the junk so you can focus on messages that matter, there’s a great feature called the BlackHole. Move an email into that folder and you’ll never hear from the sender again. They also have Reminders that automatically remind me when I need a follow-up email, aka nothing falls through the cracks. Did I mention snooze emails? They are a great way to defer/de-emphasize less urgent emails so that I can read them later. Because we could all use more organization in our email life, we worked out a great deal for our listeners. Visit https://www.sanebox.com/ducttape today and they’ll throw in an extra $25 credit on top of the two-week free trial. You don’t have to enter your credit card information unless you decide to buy, so there’s really nothing to lose. Check it out today and let me know if you love the BlackHole and reaching inbox zero as much as I do. Keeping your sales pipeline healthy reduces the worry for businesses that they are not receiving enough income. There are trends throughout the year that can affect the pipeline so how do you keep it topped up at a satisfactory level the whole year? Your company has put effort into marketing to get your visitors to your site, perhaps through pay per click advertising, sending out email campaigns or having a successful social media presence. Whichever route bought the individual to your website it is now your site that has to wow the visitor. US companies are now 6% ahead of UK brands in terms of customer experience, compared to 2% ahead last year. The visitor experience is vital for companies to gain custom, loyalty and repeat business, all aspects that help fill the sales pipeline. Each area is a piece of the overall puzzle; any section that frustrates the visitor can ruin the whole image and prevent them from completing business with your company. The purpose of the click-through type of the landing page is to increase the company’s conversion rate. It is common for visitors to only view one page; the landing page can pique the visitor’s interest and help move them along for more in-depth information or towards purchasing. E-commerce sites mainly use the click-through type with the destination page being the shopping cart or registration page; this increases the chance of gaining more conversions than directing a visitor straight from your marketing routes to the destination page. A Lead generation landing page if designed well can increase your sales pipeline by collecting the visitor’s contact details, allowing you to market to and nurture the prospect. Registering for a webinar, product launch updates, consultation, competition entry etc. Once the visitor has clicked through to your website, the design of the site is the next hurdle. Information needs to be presented clearly on the page, and not cluttered to fit everything on. Images of products should be a good definition and if there is more than one angle, these should be captured to give the visitor the most accurate representation. Navigation should be kept simple to help the visitor through their journey. Your most popular pages can be identified within Google Analytics to see where your visitors are browsing. Less popular pages can be amended or removed if they have been dormant for a long period of time. Part of the design aspect is to ensure whatever device the visitor is using, that their browsing experience is effortless. 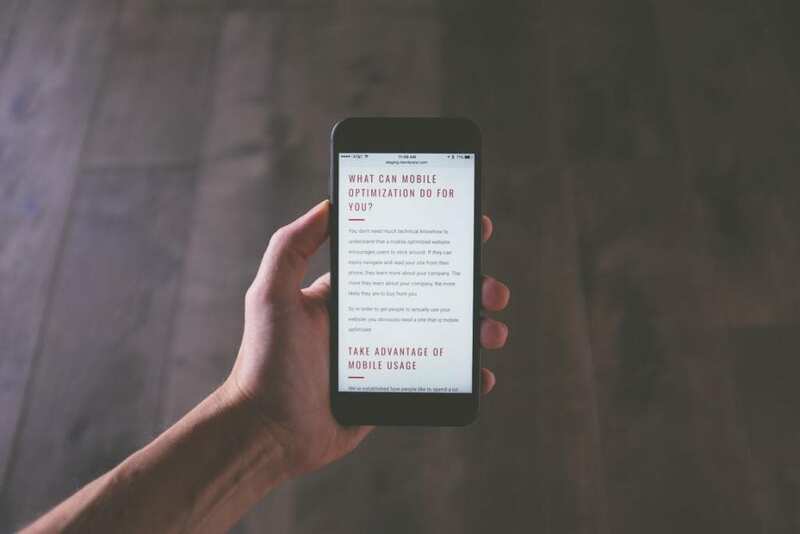 Firstly Google will punish you if you don’t have a mobile-friendly site, we are not talking about getting completely penalized by Google, however, you will rank lower as they take the user experience very seriously! Losing rank position can affect a number of visitors you receive to your site organically and therefore a number of visitors you gain into your sales pipeline. Switching to a mobile responsive site and designing it well can improve the visitor’s experience and help them to achieve their goal for visiting your site. Bradley Nice, Design Consultant at Click Help has put together a guide with a helpful infographic on this year’s Best Practices of Responsive Web Design. The last piece of the puzzle! The visitor has come to your site and is satisfied with the experience they have had so far. They are moments away from becoming a lead or making that sale but they have a few questions first. Your representatives need to be contactable to close them. Everyone expects a phone number and an email address or form to be available in an obvious place; however, it can take the visitors attention away from the website. They could be waiting hours for a response in which time they have researched your competitor’s products and/or services. If they wait too long to be connected by phone, they can become frustrated and it could ruin their entire experience. The quickest way for them to get their answers is via a web chat system. They are still present on the website when they are connected instantly to a representative who can help them to purchase or gather details from them. Web chat has the highest satisfaction levels for any customer service channel, with 73% compared with 61% for email and 44% for phone. Web chat works well when operators are attentive to the visitor’s needs, they should aim to answer a new chat within 20 seconds with a welcome message. Shorter sentences should be used to answer the visitor’s questions as the information can be digested easily. Visitors are not waiting in silence for a response, at least on the phone you can hear the other person making background noises like breathing to know you are still connected. If the visitor has an effortless experience of your website from the moment they enter and are not faced with any frustrating issues they are more likely to convert, topping up your sales pipeline. There are many platforms and professional service available to help improve the visitor experience, invest smartly in these and your pipeline will be a healthy one. What changes have you made to your website, did you find they improved the visitor experience? I’d love to hear your experiences in the comments. Corporate success is often hampered by conflicting goals—marketing wants more leads while sales want better leads. Sound familiar? It’s an age-old battle many companies struggle to remedy. There’s no denying that data-driven marketing delivers higher levels of customer engagement and market growth than traditional marketing efforts. Today, we teach you how. Data-driven marketing is the ability to analyze your existing data, understand what’s missing, how to segment it and apply it to your marketing campaigns. This may sound simple enough, but the process of analyzing marketing data can be a daunting task for those who don’t have a grasp on the data collection, maintenance, and aggregation processes. Ultimately, the goal of data-driven marketing is to identify important trends within your campaigns and customer base in an effort to cater to customer and prospect preferences. For example: After analyzing your database, you realize that 20% of your contacts are financial advisors. From there, you segment your email list and send a highly targeted email campaign to this audience using messaging that resonates specifically with financial advisors. That’s data-driven marketing. For a more in-depth look at data-driven marketing, start here: Data-Driven Marketing Benchmarks for Success. How Does a Data-Driven Approach Impact Lead Conversion? When executed correctly, data-driven marketing initiatives can increase lead quality and quantity—making it easier for your sales reps to close more deals. Personalize outreach: Your prospects and customers want offers that speak to their specific needs and pain points. In fact, in a study of 650 multi-channel marketing campaigns, personalized campaigns consistently and overwhelmingly beat out static campaigns in generating a high response rate from recipients. Score your leads: Assign a value to leads based on the likelihood that the person is going to buy your product or service. This value should be calculated based on data points like job title, industry, company, and more. Once you understand what makes a good lead, you can work to attract similar prospects. According to one study, 68% of “highly effective and efficient” marketers pointed to lead scoring as a top revenue contributor. Implement nurture campaigns: Form relationships with prospects at every level of the buying process and nurture these relationships with better segmentation and targeted content. That way, when a prospect becomes ready to buy, your brand is top-of-mind. Learn how to start a data-driven nurture program here: The B2B Marketer’s Guide to Lead Nurturing. Ultimately, customer and prospect data can fine-tune every aspect of a marketer’s strategy; from campaign type to audience, to the language you use. Although a data-driven marketing strategy starts with the marketing team, it’s a company-wide effort that requires time, expertise, and resources from many departments within an organization. Data-driven marketing is never ‘done’. It’s an ongoing process that changes all the time; what resonates with your prospects today might change tomorrow. The beauty of data is that it will inform your decisions along the way and keep you ahead of the game. Contributed by Molly Clarke, Web Marketing Manager at ZoomInfo. ZoomInfo offers the most accurate and actionable B2B data to help organizations accelerate growth and profitability. The continuously updated database enables sales and marketing teams to execute more effective marketing campaigns and improve lead generation efforts. Visit zoominfo.com for more information. As a small business, lead conversion can mean a lot of things to different people. Most likely you can think of a handful of things yourself. Someone signed up for your newsletter, clicked on a call-to-action, opened an email, visited your website, filled out a form or downloaded an ebook…. It’s really a true win. But until someone actually purchases your services or your products, that lead isn’t going to help you pay the bills. At the end of the day, the week, the month, that’s what it’s all about. And there’s no better place to focus your efforts than on email marketing. Let these numbers wash over you, dry yourself off, and let’s get down to business. The revenue generating potential is there. The power of email marketing is real. To help you harness the power and simplify an actionable playbook for your, we rounded up 12 strategies to help you nurture a prospect into making that down funnel move to customer status. Go ahead. Take a look. And then get busy working on boosting your lead conversions through email marketing. Strong CTAs are essential to your conversion rates. They’re effective in getting your prospects to the next step, and to the next step … right up to that purchase. The purchase is essential, right? Here are some things to try out. Remember to test these strategies to see what works with your email campaign. 1. Use anchor text CTAs. Based on a study by HubSpot, anchor text CTAs led to a 121% increase in conversion rates. 2. Design email CTAs as a button. After switching to this e switch led to a 45% increase in clicks, according to Copyblogger. Try different colors to see what works. Some companies are seeing better results with orange and red. 3. Use one strong CTA. It could increase conversions significantly. When skimming emails, one strong CTA may be more effective than several CTAs. That was the case with a company that tested this strategy. According to Toast, the single CTA led to a 371% boost in clicks and a 1,617 increase in sales. If you’re selling products online, more than likely you need a strong cart abandonment plan. Focus your efforts here and you could see conversion rates climb significantly. According to the Baymard Institute, nearly 70 percent of all products placed in a cart (at the critical point you could make a sale) are abandoned. Your job is to set a strategy in place to recover your share of those abandoned carts. Check out these ideas for boosting conversion rates through a cart abandonment plan. 4. Tweak or overhaul your checkout process. Research shows that about 33 percent of American shoppers abandoned their orders because of a “too long or complicated checkout process.” The Baymard study revealed that $260 billion in potential sales can be recovered nationally by optimizing the checkout process. 5. Use email automation. A drip campaign makes sense for new subscribers. That type of automation also is ideally suited to get the attention of users who abandoned their carts. Set up a marketing campaign that schedules friendly reminders about the products they left behind. Something as simple as “Did you forget about me?” could be the key to getting the sale. 6. Don’t force someone to become a member. Keep the user’s preferences in mind. Requiring them to sign up for your email list or to become a member can be a turnoff — and a roadblock to them completing their purchases. People are a fickle bunch. They typically don’t want to test you out without knowing that someone like them has already checked you out — and were happy with the experience. 7. Add testimonials/reviews strategically. If your CTAs direct users to your services and products, strategically place reviews, testimonials and case studies on the landing page. Don’t overdo it, but, by all means, let others brag about you. Several examples of how your services and products have worked for other clients should do the trick. All email marketing campaigns begin by asking for the prospect’s name and email. Use this valuable piece of information frequently — it’s always more personal to call someone by their name. And take it up a notch by further personalizing your ongoing communications — using marketing automation to gather data about each of your users. According to the Direct Marketing Association, automated email campaigns generate 21 percent of email marketing revenue while triggered campaigns generate 75 percent of email revenue. 8. Use personalized CTAs. According to a study reported by HubSpot, personalized CTAs convert 42 more visitors into leads than CTAs that are untargeted. 9. Make use of personalized subject lines. Using the prospect’s name in the subject line can boost open rates by an average of 30 percent, according to a study by MarketingSherpa. 10. Segment your email list. If you’re still sending out one-size-fits-all type emails to save time, stop it. You’re boring your subscribers. Besides, if you send them one too many emails they don’t find relevant, you’re increasing the likelihood they’ll stop opening your emails. Customize your subscribers’ experiences based on the data feedback you’re receiving about them through automation. Go beyond geography and gender. Step it up by delivering an experience based on the products and topics they’re more interested in. 11. Implement a nurturing campaign. Take the time to determine what will help you guide a prospect from one stage in the purchase cycle to the next stage, and eventually to a purchase. Develop content, including blogs, white papers, webinars and videos, to answer the questions that prospects may have along the way before they buy. Make sure the content is relevant and appropriately targeted and delivered at just the right time. According to Forrester, this strategy could lead to a 20% percent increase in sales opportunities. And, don’t forget the last step of a nurturing campaign: The follow-up. With marketing automation, certain actions by the consumer should trigger a personalized email or a phone call to follow up. Statistics show that if you follow up within the first 5 minutes of the consumer expressing interest, your odds of qualifying them as a lead are 21 times greater than if you wait just 30 minutes. 12. Develop a multi-channel approach. With an effective marketing automation platform, you can extend your ability to nurture prospects through multiple channels — email marketing, social media, retargeting, and your website. These increased impressions, as well as the ability to reinforce a relevant message to your audience, can significantly increase your conversions. Digital marketing is not necessarily a sprint, but you can get some acceleration with your conversions by implementing proven strategies. Go ahead. Test these 12 ideas to get on the road to more conversions that lead to increased sales. Corey Trojanowski is Digital Marketing Manager at Delivra, an email marketing, and marketing automation platform designed and built for small to medium-sized businesses with marketing teams that don’t have enough time, email expertise, or strategic guidance. When Corey isn’t waist deep in Google Analytics or working on conversion rates, he’s probably spending time with his family or on the ice playing hockey.